Fifteen-year-old Alyx Atlas was raised as a boy, yet she knows something others don’t. She’s a girl. And after her dad dies, it becomes painfully obvious that she must prove it now - to herself and to the world. Born with ambiguous genitalia, Alyx has always felt a little different. But it’s after she sustains a terrible beating behind a 7-Eleven that she and her mother pack up their belongings and move from California to Milwaukee, Wisconsin, to start a new life - and Alyx begins over again, this time as a girl. Alyx quickly makes new friends, earns a spot on the girls’ varsity basketball team, and for the first time in her life feels like she fits in. That is, until her prowess on the court proves too much for the jealous, hotheaded Pepper Pitmani, who sets out to uncover Alyx’s secret. A dangerous game of Truth or Dare exposes Alyx’s difference and will disqualify her entire basketball team from competing in the state championships unless Alyx can prove, once and for all, that she is a girl. But will Alyx find the courage to stand up for the truth of her personhood, or will she do what she’s always done - run away? Whatever she decides, she knows there’s much more at stake than a championship win. 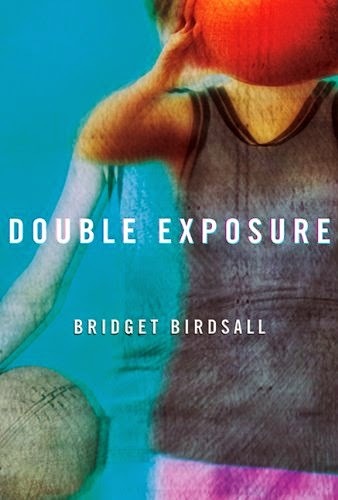 A stunning debut young adult novel from Bridget Birdsall, Double Exposure brings to light complex gender issues, teenage insecurities, and overcoming all obstacles. This is an amazing book. There are not fiction stories out there about this subject matter, and I think it is important that there is. Though, yes this is just a story, and not "real", there are people out there like Alyx, and their stories need to be told. Buy this book at Double Exposure on Amazon.